Hi Blogger’s, In this post we will get to know the Top 10 Best Must Have WordPress Plugins & Why you need These WordPress Plugins. So Lets Get Started. This Plugin comes with 35+ features or you can say functions in a Single Plugin. This Plugin is free to download and obliviously free to use. In order to use this plugin you have create a WordPress account. Contact Forms: By the help of this plugin, you can add contact forms which you may have seen on most of the website’s Contact Page. WordPress Like Button: You can add a Like Button (almost similar to Facebook like button). But this like button is for WordPress Users/Bloggers. Sidebar Widgets: You can add extra sidebar widgets. For example Top Post & Pages widget on our website. Stats: You can also obtain Site Stats such as, Number of Views to each post, trends etc. Related Post Section: You can add related post section under your posts. Sharing Buttons: You can add Sharing Buttons under each post or page. This plugin is an essential plugin for every blog. This plugin protect site owners from spam comments & trackback spams. Believe it or not This website gets over 1000 Spams comments everyday. This plugin not only protect you from spam but it also filters Legitimate/genuine comments, So it saves a lot of time. It is free to use, but the free versions have some limitations. You can see Its Plans & Pricing Here. This plugin helps in optimization of your post so that it can rank higher in search engines like Google, Yahoo etc. This plugin also have some additional features such as Sitemaps. (Sitemaps are the XML map of a website which help in faster indexing of post & pages in search engines. It also helps search engines to better understand a website). This plugin helps in reducing the load time of a website by faster catching, G zip Compression etc. This plugin helps you to rank higher in search engines. How? Because fast loading sites are ranked higher in search engine. And According to studies, Most of the users leaves the website, If it takes longer than 4 Sec to load. This plugin is free to download and use. You cannot reduce the size of the images above 1 MB etc. Lossy (reduces the size of the image drastically with very minor Quality loss) compression of images is not allowed in free version. You can also buy The Pro version which will cost you around 19$ per month. This plugin helps in optimizing database of your WordPress Blog by Removing Auto Draft posts, Revisions etc. It also helps in removing the unwanted metadata from spam comments, and unapproved comments which helps in reduction of database size. It is a free plugin. Helps in removing stale post revisions. Removes all trackbacks and ping backs. Clear out the post trash. Note: Take Backup of your blog Before using the Red Marked fields of the Plugin. This plugin helps you to add google analytic code into your website. This analytic code will help google to obtain Statistics of your website Such as Page views, User behavior, bounce rate etc. This plugin Limits the login attempts to your WordPress website. Which helps in keeping your website secure. Since most of the hackers tries to gain access to your sites by trying number of combinations of username and passwords. 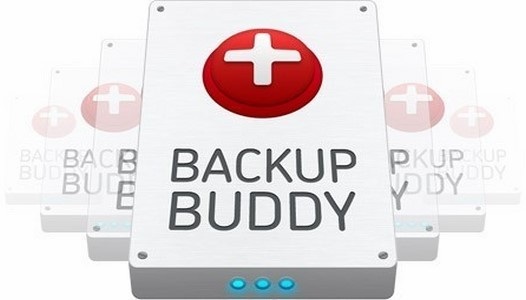 In the WP optimize plugin we talked about how essential it is to make backup of your website. So Here’s a Plugin to do exactly that. By this plugin you can schedule backups of your website or you can manually create backup as per your preference. Share your views with us via comments. Next story Gigaset Me, Me Pure, Me Pro | Phones Without Speakers?